Intrepid Group’s Core Purpose is to offer the Best Travel Experience Ever. 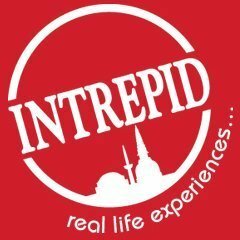 Run by travelers, for travelers, Intrepid is the world’s largest provider of small group adventure travel experiences. Their brands offer over 1,600 itineraries on every continent, catering for all ages, budgets and appetites for adventure. They aim to change the way people see the world. If more people traveled in the Intrepid way, then more people would have a greater level of understanding and compassion about the world and it’s different people, cultures and issues. And those people can help to influence those who are not as well informed or well-traveled. Intrepid is a private company founded in 1989 by Geoff Manchester and Darrell Wade, who are still the owners. Intrepid operates in 120 countries, carries travelers from 35 countries and has a turnover over $250 million. Intrepid has been acknowledged many times for its leadership in responsible travel. Intrepid is increasingly developing its Purpose Beyond Profit activities, from being the first tour operator to stop elephant riding, to supporting Nepal post the 2015 earthquake, to leading change in orphanage tourism. Its culture is based around their people being passionate about travel as well as being focused on high levels of customer service and self-motivation. They assist their managers to become strong positive influences on the people who report to them. And they have a commitment to receiving and acting on feedback from stakeholder groups such as our travelers and our own people. Intrepid founder and director Geoff Manchester is on the Board of Directors of CCANZ and is involved as an organiser with the Victorian Conscious Capitalism community Intrepid often hosts Conscious Capitalism events held in Melbourne.